The New Jersey Business & Industry Association and New Jersey Business magazine are seeking nominations for the 59th Annual New Good Neighbor Awards, which honor outstanding economic development projects in New Jersey. Projects can be nominated in any of these three categories: New Construction, Community Enhancement (parks/streetscapes), and Renovation/Expansion. Eligible projects must have been completed (construction or capital expenditures) within the past two years (Jan. 1, 2017 – Dec. 31, 2018) and can be nominated using the online form found on NJBIA’s website. The deadline for submitting nominations is Feb. 8, 2019. Eligible nominees will be contacted by NJBIA and asked to provide details about their projects for the independent judging committee, comprised of a cross-section of state associations and organizations. Projects will be judged using criteria that takes into consideration economic benefits, job creation, architectural merit and community involvement. 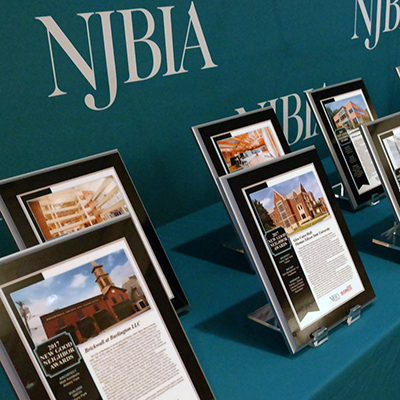 Winners’ projects will be profiled in New Jersey Business magazine’s July issue, as well as on NJBIA’s website. The awards will be presented at a July luncheon. Last year, New Good Neighbor Awards were presented to 14 winning development projects that collectively represented $720 million in capital investments and provided 5,924 jobs. Stories and short videos about the winners were made available by NJBIA to media outlets throughout the state.For further information about the New Good Neighbor Awards program, contact events@njbia.org.